They have met each other on the grid-iron battlefield 117 times. 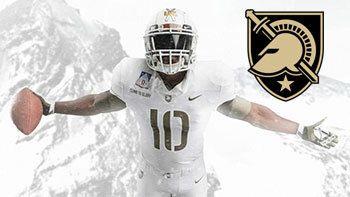 Last year Army was victorious, breaking the Navy’s 14-year winning streak. 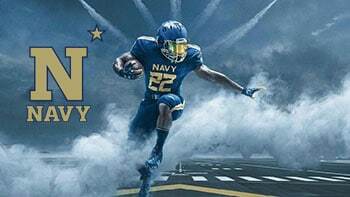 Since their first game on November 28, 1890, Navy has won 60 times, Army 50, and they have tied 7 times. On one side of the field is the Army Black Knights of the U.S. Military Academy in West Point, NY. The other side are the Navy Midshipmen of the U.S. Naval Academy located in Annapolis, MD. Their students and players are referred to as Cadets and Midshipmen, respectively. The cadets mascot is a mule — the midshipmen is a goat. The attendance for this game normally exceeds 81,000. Because Army’s Michie Stadium seats 38,000 and the Navy-Marine Corps Memorial Stadium only 34,000, the Army-Navy game is traditionally played at a neutral site in Philadelphia or Baltimore. Last year in Baltimore it was held in the NFL’s Ravens stadium. This year is at Lincoln Financial Field, home of the NFL’s Philadelphia Eagles. 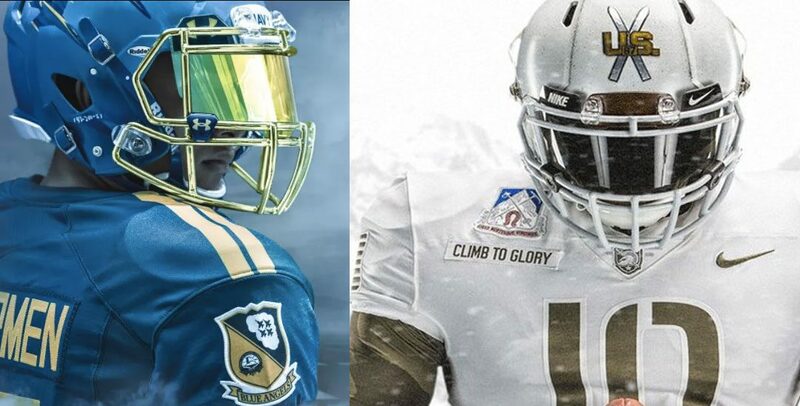 The Army-Navy Game is as much about the traditions as much as what happens on the field. Only with the Army-Navy game do you have a tradition of exchanging prisoners. In their Junior year, a select group of cadets and midshipmen spend a semester studying at their sister academies. During the pre-game activities, these students take part in a prisoner swap on the field, returning to their own schools and joining their classmates in the stands. During the game, the Cadets and Midshipmen will be in uniform. Prior to the beginning of the game, both academies will march into the stadium in tight columns and fill the stands. It is truly an emotional sight to see these young men and women March-on. Since 1901 when Theodore Roosevelt did it, the President or Secretary of Defense march across the field to make sure they sit on both the Navy and the Army’s side of the field. As the President enters, the bands will play “Hail to the Chief.” When the President changes sides at halftime, the service academies cheer. Both the Army and the Navy teams have been quite dominant in college football in the past. In 1944 and 1945, Army was ranked No. 1 and Navy No. 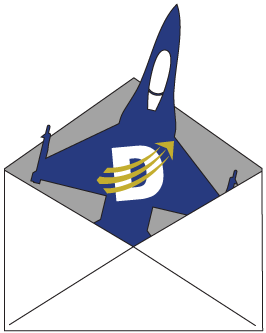 2 in the country. The Army has earned three national titles in 1944, 1945, and 1946. The Navy has one National title in 1926. Between the two, they have had five Heisman Trophy winners. But, as college football players have gotten much bigger over the years, the service academies are required to recruit within their military size requirements, and their dominance has waned as a result. A NCAA Division 1 offensive lineman that is 6’1” – 6’4” will average 290 pounds. At the big D1 schools who most dominate the college football rankings, linemen may average closer to 305-310 lbs. Compare that to a 6’5” Midshipmen lineman who, according to Navy Body Composition Assessment, should weigh no more than 226 lbs. Though some of those linemen may reach an average of 285 lbs, small according to D1 standards, the players will be required to lose the excess weight between their last eligible game and graduation. 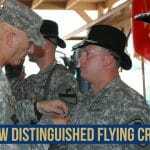 This means a linemen may have to lose 50 or 60 lbs in a 6 month period to meet size standards and fulfill their five years of military service requirement following college. Since their first game in 1890, the Army-Navy game has become a storied tradition that no other college rivalries can match. This Saturday, December 9, 2017, these two schools will continue the traditions of March-on, Prisoner Exchange, Halftime Walk, and one team singing second. The Army-Navy game is one of only three games where the players on the field are willing to sacrifice their lives serving all those watching on TV. The three U.S. Military Academies compete for the Commander-in-Chief’s Trophy, awarded to each season’s winner of the triangular series between the Air Force Falcons, Army Black Knights, and the Navy Midshipmen. Since the writing of this article, the result of the 2017 Army-Navy Game was Army winning 14 to 13. 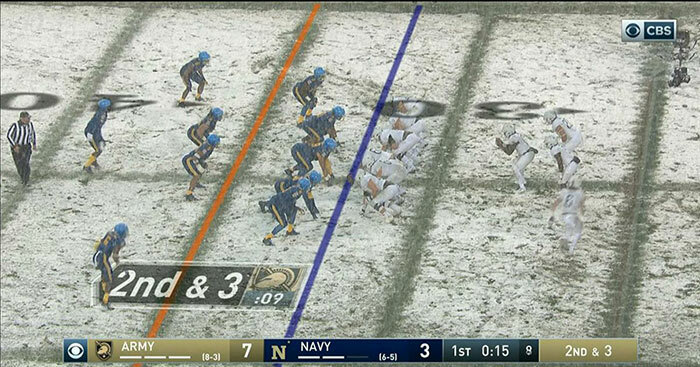 In a game where snow blanketed the field, CBS digitally imposed yard numbers on the field during the broadcast coverage so viewers could see the players’ progress. (Image 1 – CBS Broadcast SBNation – shows digitally imposed field yard numbers). 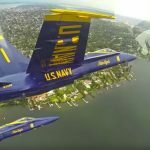 The game could have resulted in a Navy victory if the Midshipman kicker did not narrowly miss a 48-yard field goal attempt in the final seconds of the game. This win gave Army their second consecutive victory over Navy and their first Commander-in-Chief’s Trophy since 1996. Both teams did exceptionally well in their respective bowl games. 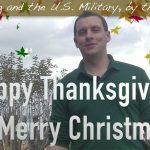 On December 23rd in the Armed Forces Bowl, Army beat San Diego State 42 to 35. Then on December 28th, Navy dominated Virginia 49 to 7 in the Military Bowl.